Bombus are proud to be selling our range of products exclusively in Singapore via a beautifully curated site called Giftslessordinary. They sell a range of personalised gift products targeting the expat communities in Singapore, Hong Kong and Asia. We love the new opportunity to delve deeper onto our map archive and find those detailed locations in Singapore. 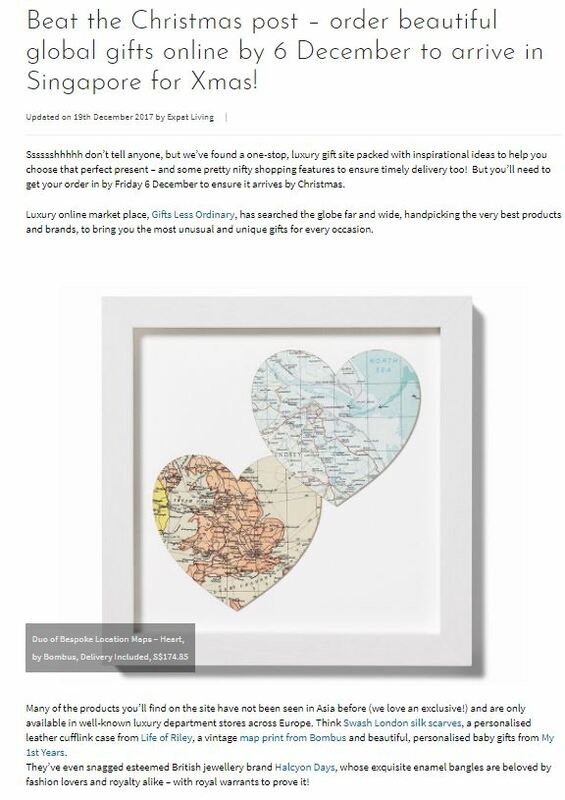 Our bestselling two map heart honeymoon gift featured here in Expat living is often is chosen to feature a location in the UK combined with an Asian location.